Kirkstall, Leeds, Saturday, 24 March, 2018. 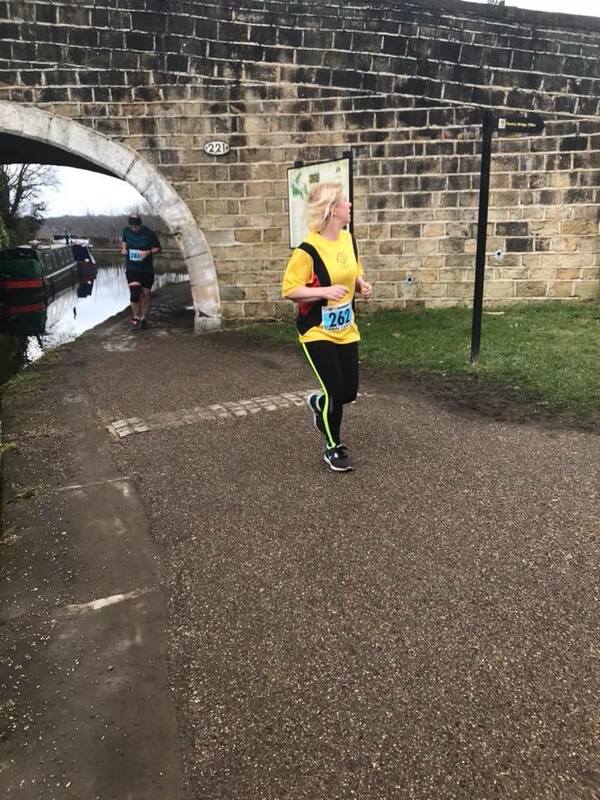 On Saturday, Pumas Tiffany Lewis and Karen Matos took part in the Canal Canter at Kirkstall, Leeds. 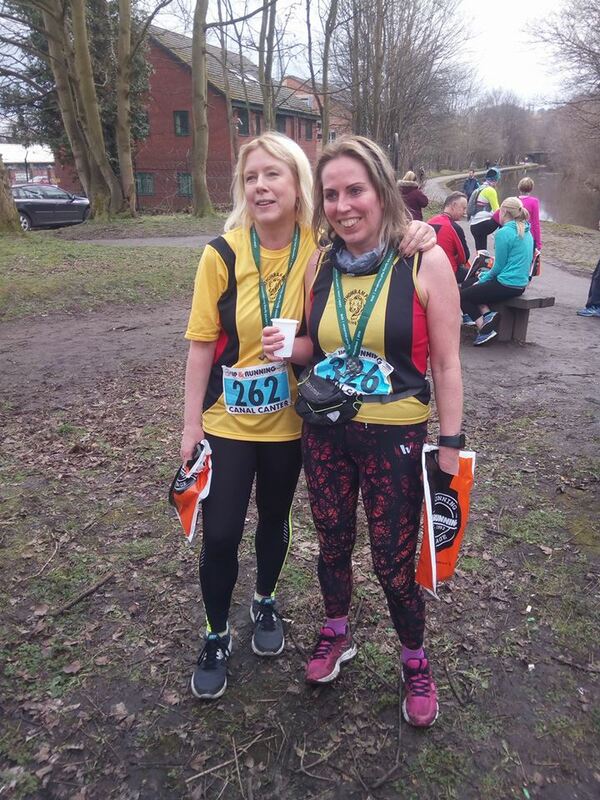 There were four distances from which to choose, ranging from the shortest at 10k, to the longest at 32 miles, but Tiffany and Karen opted for the half marathon, mindful of the fact that this would still give them a decent enough recovery time in the pub. Tiffany’s raring to go, but Karen doesn’t look too sure. 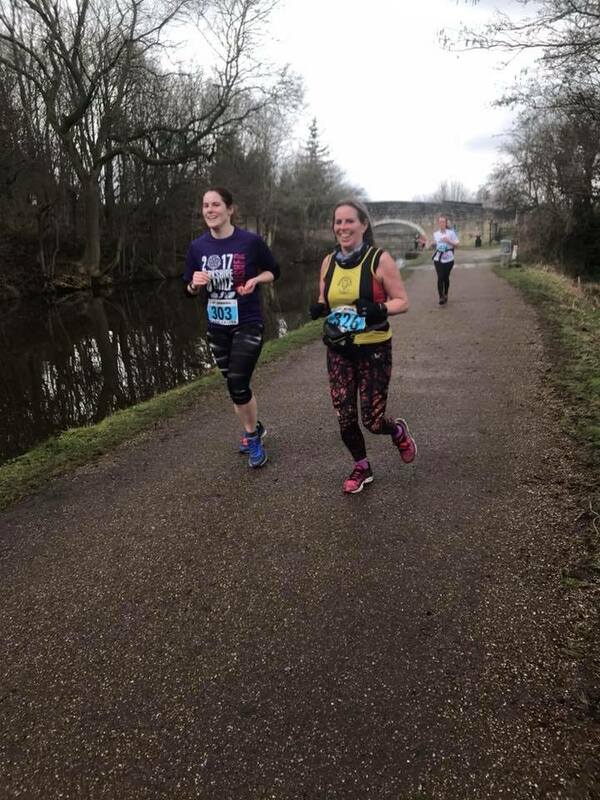 All the four distances started and finished at Kirkstall, but where Tiffany and Karen were concerned, their route initially headed out west, beyond Bramley Fall Park and to the outskirts of Farsley before turning back, hitting the four-mile mark and heading towards Kirkstall, then running beyond the start in the opposite direction, completing ten miles, then turning back just short of the Royal Armouries Museum and making the last three miles to the finish line. Tiffany picking off fellow competitors. The route was a straight out and back along the canal, so I’m not sure why Karen’s looking lost. It was a pleasant day for it, and they both enjoyed the scenery on the run out towards Shipley but Tiffany later admitted that she was losing the will to live on the return stretch from Leeds to Kirkstall as it was such a long, dull stretch of canal. 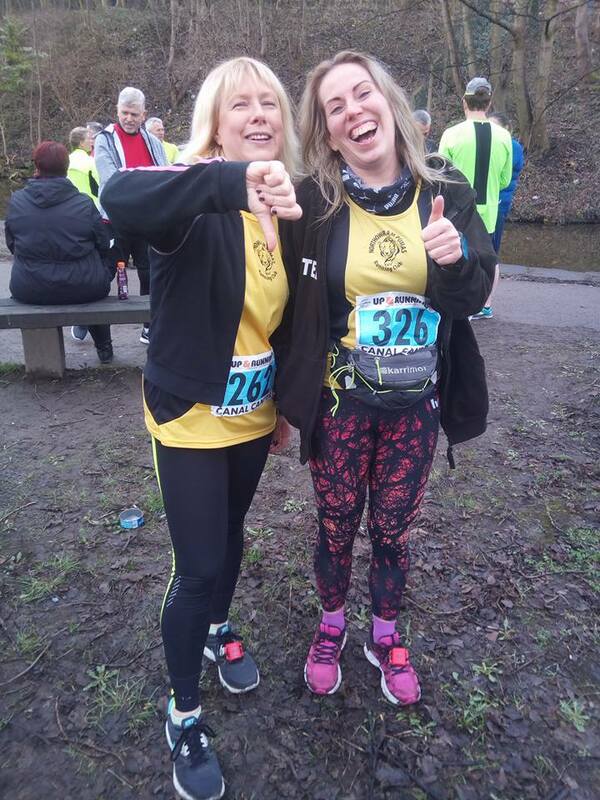 Tiffany finished 213th in 2:16:59, whilst Karen was four places behind in 2:19:52. There were 243 runners. 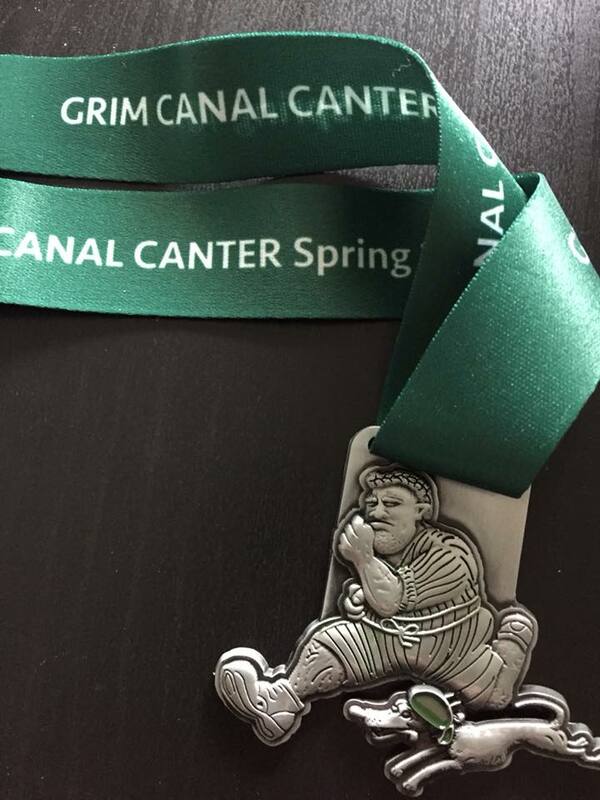 Karen and Tiffany have completed the Half Marathon, and have the medals to prove it. Photos courtesy of Theresa Tate and Mark Kirkby.